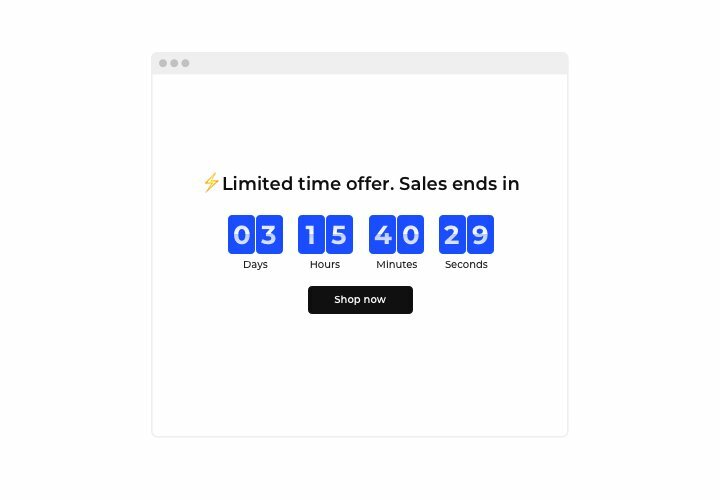 Display sales-generating counts for your site with Elfsight Countdown plugin. 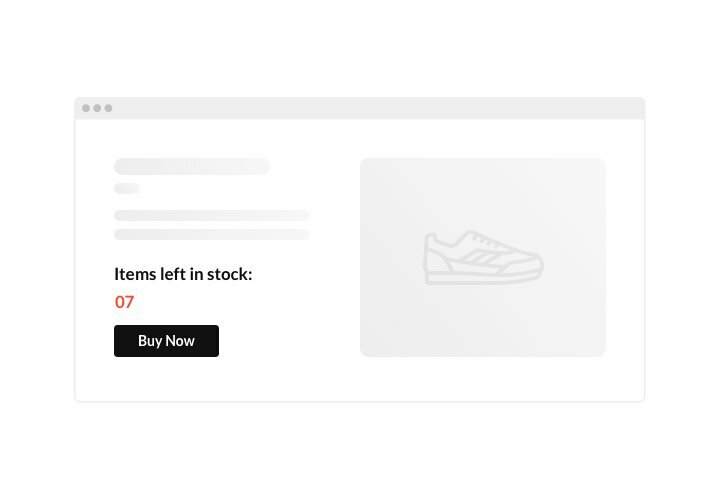 Heat up the atmosphere and evoke a sense of limited availability of your goods, demonstrating how quickly they are being sold right before the clients’ eyes. Speed up your clients to start purchasing with time counting down the special offer period. Create countdowns to announce your upcoming occasions or holiday sales and keep your clientele eagerly waiting for the beginning. 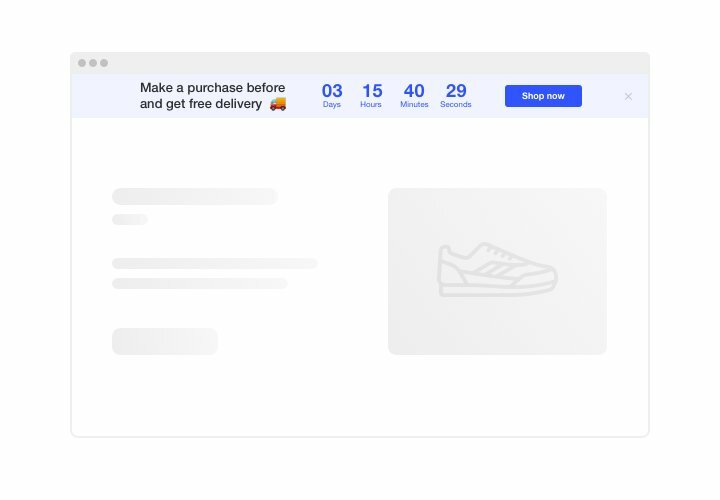 Uplift your online sales using urgency-driving timers and counts. Encourage people to shop more on your website by bringing a feeling of urgency. Make your audience feel a fear of missing out your offers and sales – show them the time is running out. 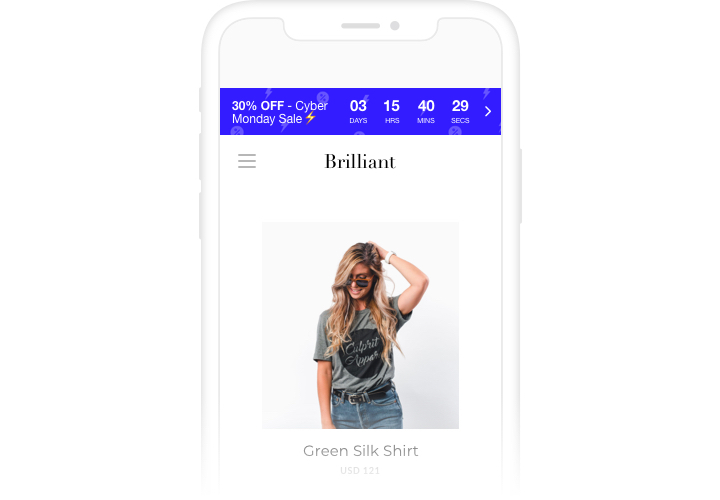 It will make users purchase quicker and will bring new sales to you. Show that the stock is decreasing and make users jealous to buy. Demonstrate that your goods get purchased quickly and become scarce, using a special stock count. It will make audience value the goods higher and become jealous to buy them too. Attract more attention to your sales with a special holiday-themed countdown bar. 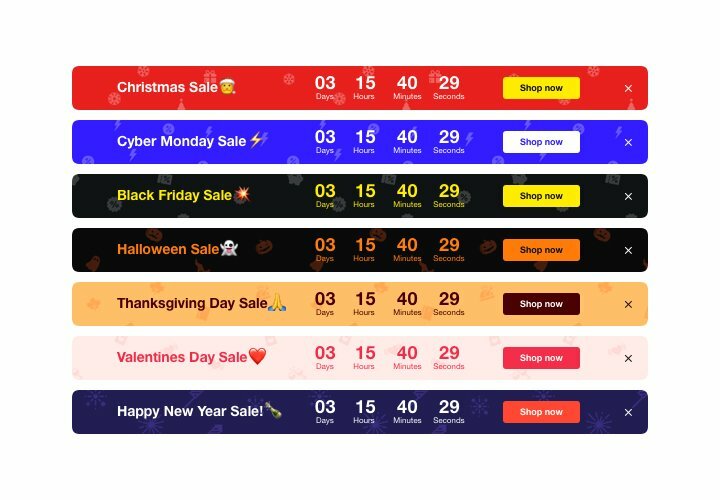 Using attractive theme bars, you can promote your seasonal offers and sales. Don’t miss holiday time to lift sales on your website. Here are the features of Elfsight Countdown making it the most important plugin for each jQuery site. Elfsight plugin is simple in installation and it will not require knowledge in programming. Execution of the manual will take you about 1 minute. 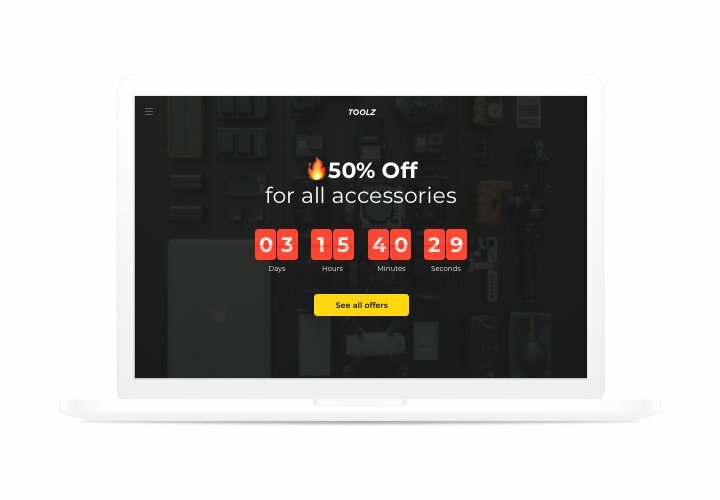 Design your personal Countdown plugin. With the help of our free editor, shape a plugin with desired parameters. Acquire the code for embedding the plugin on your website. After your have configures the settings, acquire the code for Countdown Clock from the appearing window on Elfsight Apps. Add the widget on the jQuery website. Start the page code in the editor, integrate the widget into a desired place (content, footer, sidebar etc) and publish the edits. Enter the site, to check your plugin. If while using the tutorial, any questions appeared, leave a message at our support center or study the full text of the tutorial and complete the creation of the plugin yourself. Install a jQuery Countdown Timer on your website in just 1 minute!